Crispa Crepes is a great place to go for fast, friendly, and casual dining. Although they have been open since May 2013, I was recently invited to visit their yummy establishment for the first time. 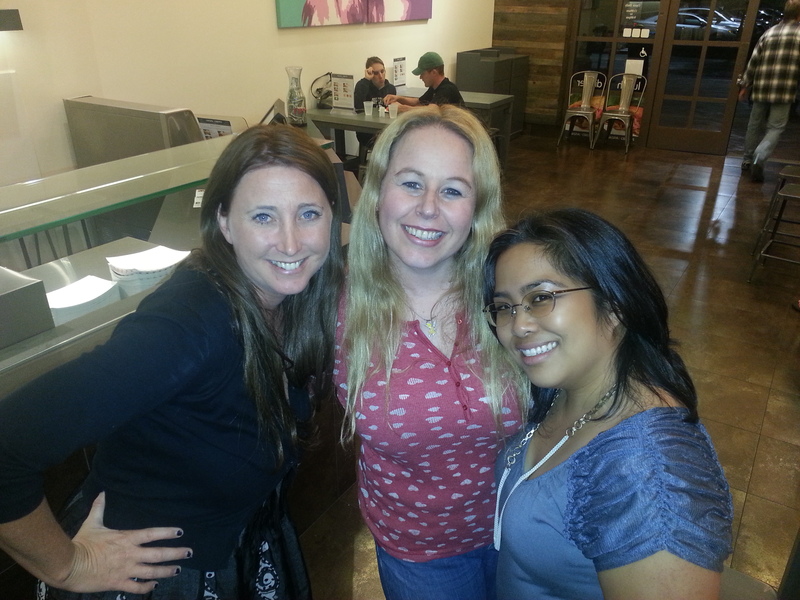 I was excited to sample a variety of savory crepe flavors from around the world, as well as sweet ones! 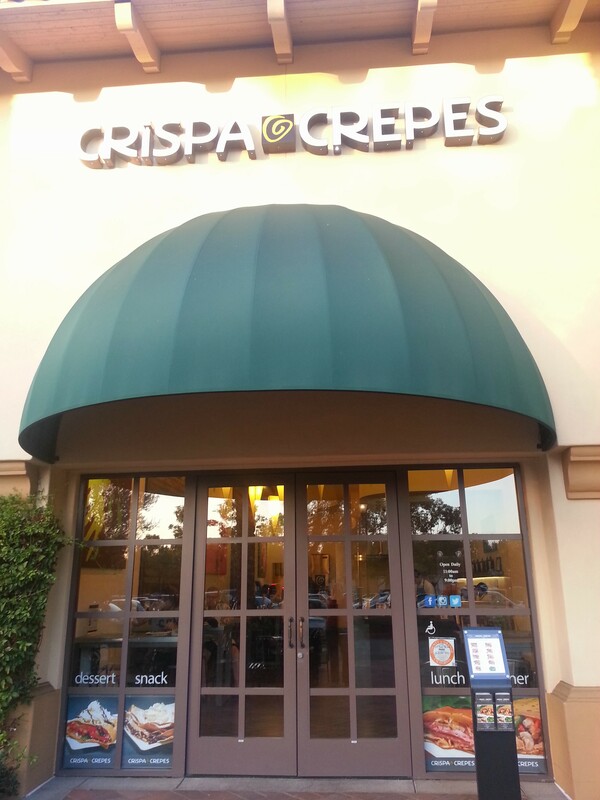 Crispa Crepes is located in Irvine, California at 3945 Irvine Blvd. next to Albertsons at the corner of Irvine Blvd. and Culver. I grew up in the city of Irvine, so I am always super excited to head back in to town to see what my hometown has to offer! This time I was definitely pretty impressed. First off a little of my recent crepe devouring history includes crepes I enjoyed in Paris, France and Haight/Ashbury in San Francisco! I love crepes! I have tried crepes in dining settings, such as Todai (an all-you-can-eat Japanese restaurant in So Cal) but nothing compares to fresh crepes made from scratch! 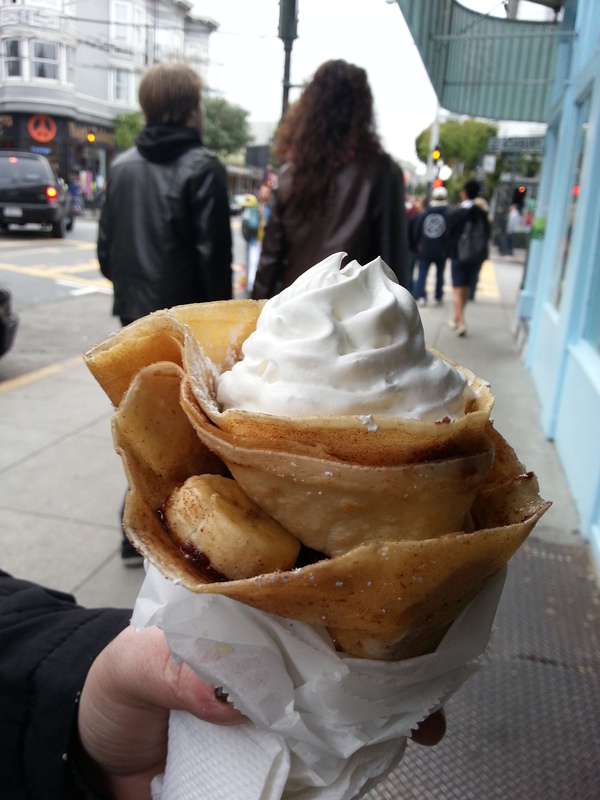 The one in France was amazing and I must say I also loved the one in San Fran, but after visiting Crispa Crepes this past week, I found a place local to where I live where I can have some fabulous yummies as well! So exciting! 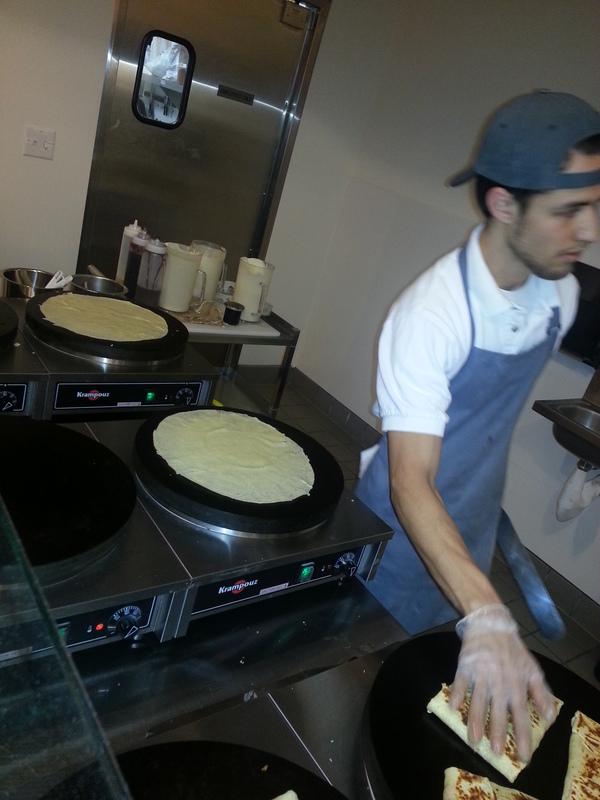 Crispa Crepes is independently owned by a French man that moved to California for college upon high school graduation in France and he decided not only to make his home in the states, but to open a fast, fresh and friendly crepe store where he could serve homemade crepes. 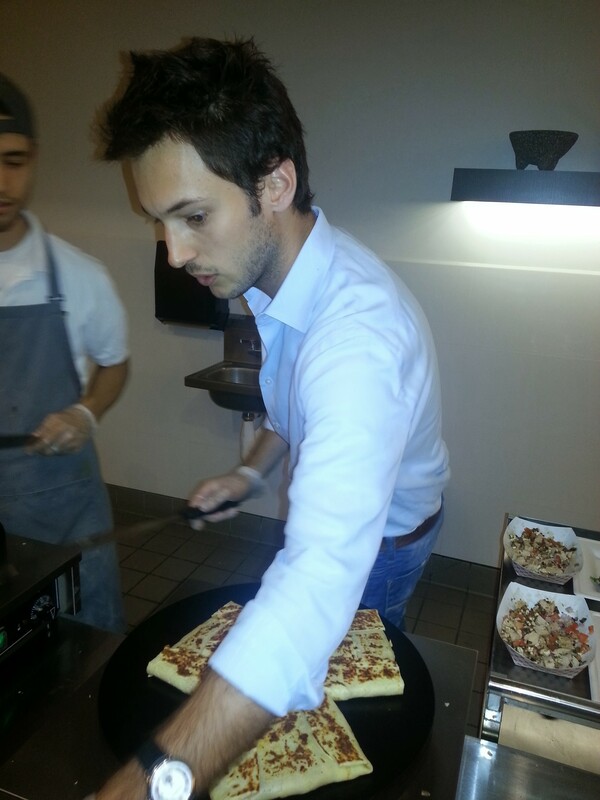 Owner, Hadrien Curs opened the Crepe shop, Crispa Crepes with an idea of creating something affordable and healthy, but also very tasty! Crispa Crepes come in a variety of flavors and Hadrien chose to name each Crepe as a different country to blend this French Classic into several other different types of flavor profiles for foods from around the world. 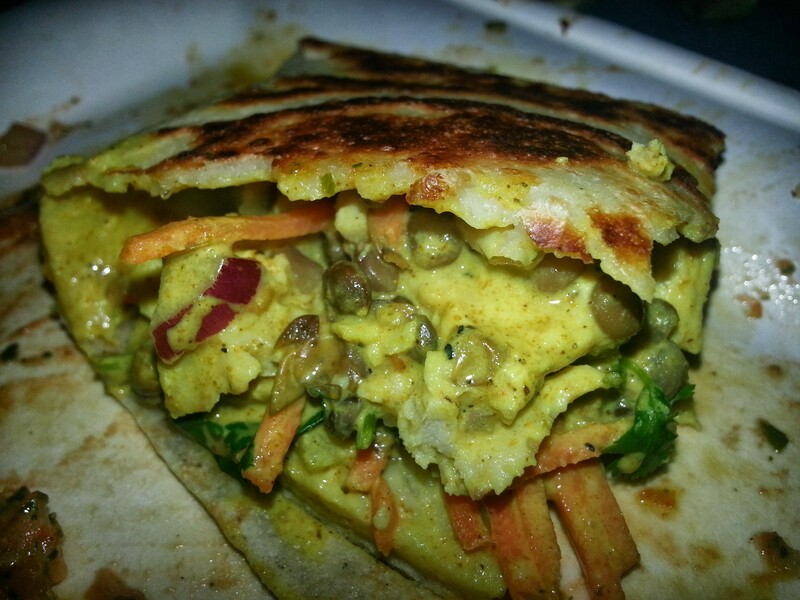 In our visit to Crispa Crepes, I had the opportunity to try French, Mexican, Italian, Greek and Indian. Next time I will have to head back to also check out American, Alaskan, and Moroccan. 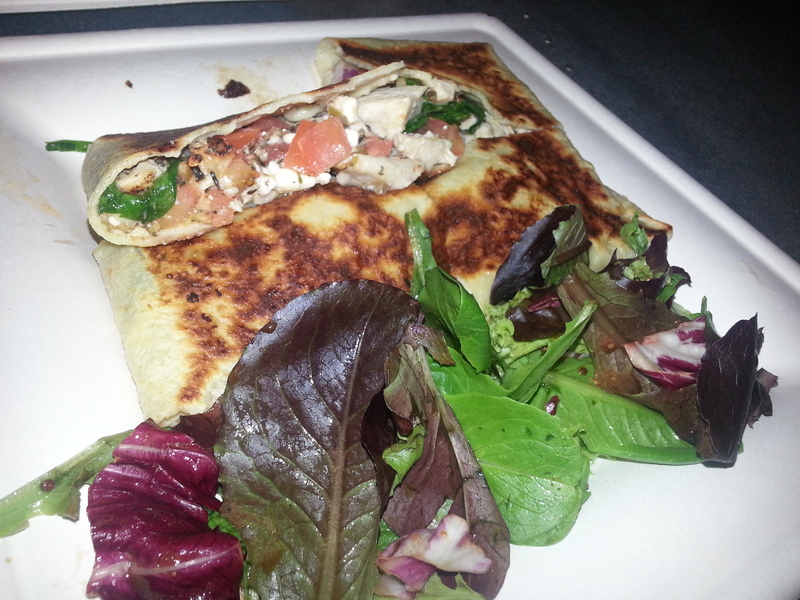 Each Crispa Crepe is served with a complimentary salad that has mixed organic salad with homemade balsamic vinaigrette! Calorie ranges are from 550-750, which is really not too bad at all! My favorite savory crepes were tied between the French, which was a simple ham, Swiss cheese and thyme and the Italian, which included grilled chicken, pesto, tomato sauce, aged Swiss cheese, red onions, and basil. For sweet, I fell in love with the Crispella, just plain…no added bananas or strawberries…Honestly…it was perfect by itself. Hadrien makes his own nutella from scratch and it is amazing!! At 625 calories and a price point of $3.50, I was in heaven!! Crepes range in price from $3.00 to $8.25 for sweet and savory crepes combined. I believe this is a very reasonable price point for what is offered. There is also a complimentary salad with each savory crepe. This place is healthy, fresh and is great for those in a hurry that also want to eat healthy and have something that tastes to delicious. 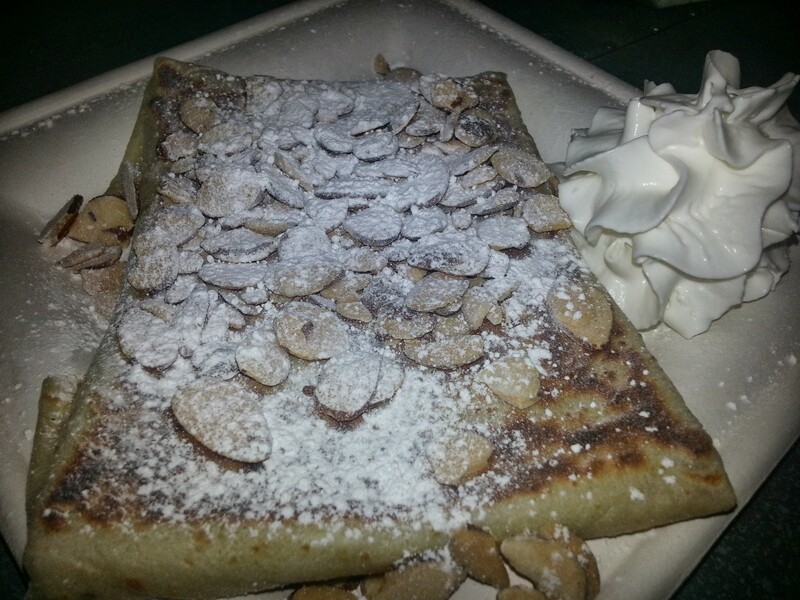 Head into Crispa Crepes sometime soon to see what they have to offer! I would love to know about your experience below! Which one would you like to try? Those look delicious! I like the different choices and the prices seem good too. Wow, those look delicious! these places are popping up all over the place.. I would have a hard time choosing which crepes to try. It seems like you can find specialty restaurants more easily than in the past. So, if you just want a crepe, you have a great place to go. There was definitely a great variety and I loved how he named them after different countries! Vienna Sweet Crepe is something to die for. Yes you look happy in Paris. 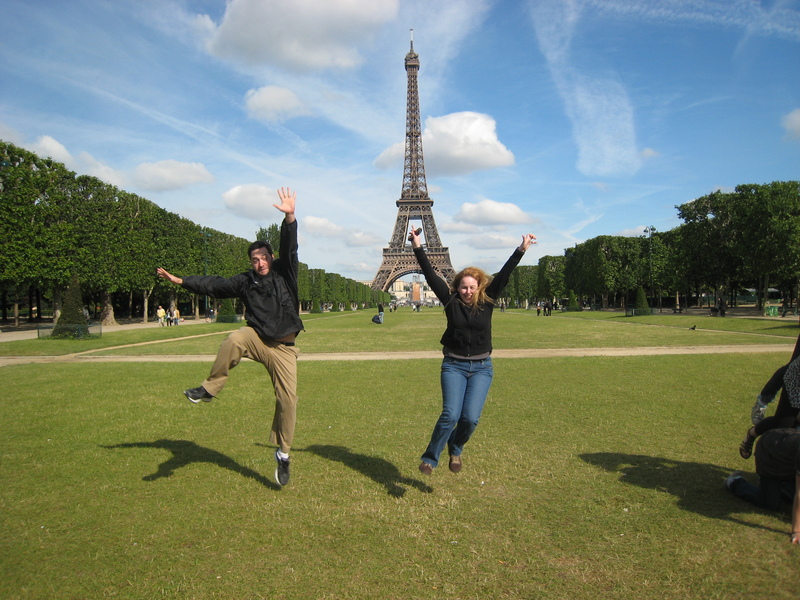 How can you not be happy in Paris? 🙂 The Vienna one was delish! Another package you can FedEx me! They look great. Haven’t had these since Paris. LOL:) Those ones in Paris are AMAZING!! oh wow YUM!!!! Now I want crepes!!!! YUM YUM…crepes with fruit are my favorite! My biggest weakness. I don’t think I could pick a favorite. I just love the texture and flavor or crepes. Oh yes & they are healthy and lower calorie at this place and still taste phenomenal! Hell yes!! Girl you get invited to all these awesome restaurants for great treats! Do they invite you kinda like they would a food critic? I love crepes! I took French in high school, and we would have days were we cooked crepes in class. I haven’t had one in many years sadly. That is so awesome that you took French in high school and had the opportunity to cook crepes in class! 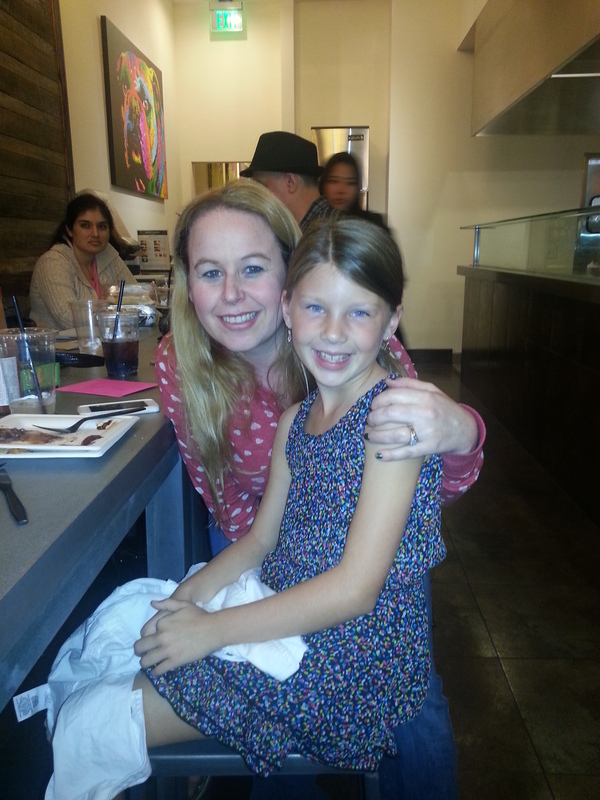 So very cool:) I hope you get to have a crepe sometime soon! OMG they look fabulous. I really want to try desert crepe. I absolutely LOVE crepes. I wish there was a place close to where I live that made them! Ugh they look sooooo good!